Being an Athens Photographer means that I get to see some pretty amazing families, babies, kids, fairies and dancers in the Athens, Watkinsville, and Jefferson areas. My favorite part about being an Athens Family Photographer is meeting all the families and watching how they love each other and interact. Mom kissing the daughter, the sister snuggling the brother, daddy loving on his kids. Family shoots are meant to record what your kids looked like, but also keep the memory of what your family felt like as whole. 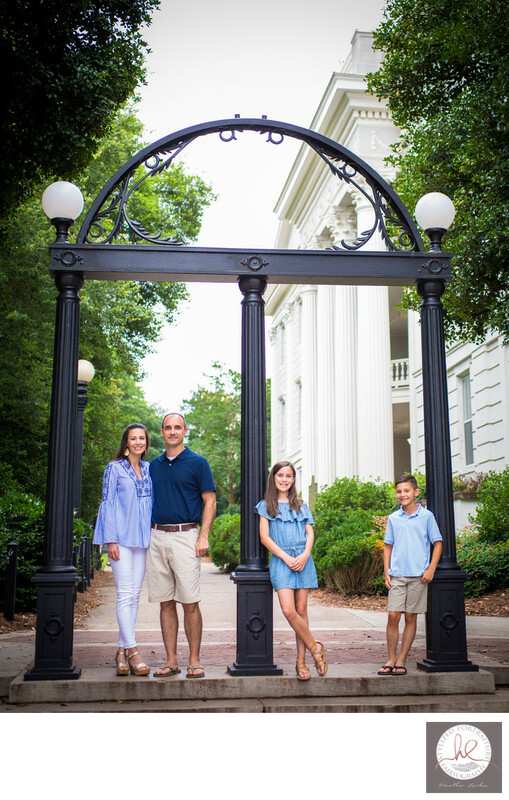 Grumpy dads are the worst, but otherwise I love family photo sessions in Athens! The best part about being an Athens Baby Photographer is of course, all the babies! Cute chubby cheeks, baby toes, and adorable little squeals of delight. Baby photo sessions are often short, thanks to babies being unable to put up with too much at once. The most amazing thing about being an Athens Child Photographer is watching how all the kids grow and change. It's fun to watch a baby turn into a toddler and then turn into a child. A thinking person with their own opinions and everything. Being able to hold a conversation with a child that you knew as a baby when you're walking around the botanical gardens is super neat. Then of course there is the magical wonder of being an Athens Fairy Photographer. Putting fairy wings or a princess dress on a girl changes her a little. She'll watch the wings bounce or the skirt swoosh with every step, and have the biggest smile on her face. I also love getting girls' hair done right before the shoot. They're looking and feeling their best! And lastly being an Athens Dance Photographer has me seeing some gorgeous ballerinas, dancers, gymnasts, aerialists, yoga teachers, fitness instructors, martial artists, and other athletes. The things humans can do with their bodies is nothing short of astounding! Location: UGA Arch Athens GA.
Keywords: UGA Founder's Garden and North Campus (39). 1/400; f/2.8; ISO 640; 50.0 mm.